Sometimes a great idea comes from a desire to help loved ones in need. That is how sisters Katie Kinzler and Liz Depew got involved creating specialty blankets for kids with autism. What started out as a kind gesture to help a friend in need has grown into a charitable organization with big goals of helping hundreds of autism families. 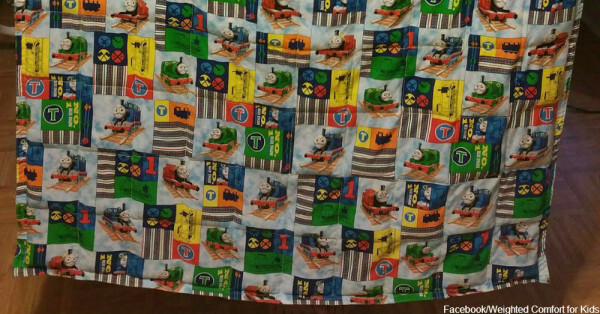 When Katie Kinzler’s friend mentioned her need for a weighted blanket for a child with autism, Katie decided to make one by hand. First she found a blanket pattern, and then she secured the materials needed to craft it. The results of this first blanket-making effort turned out so well, Katie decided to scale up her one-woman operation and turn it into a full-fledged non-profit organization, bringing her sister Liz on board as co-founder. 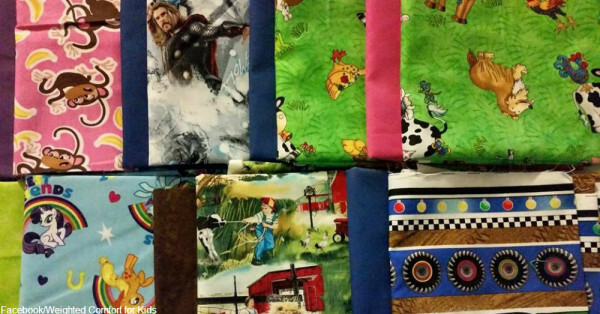 Through Weighted Comfort for Kids, the sisters intend to give away as many free weighted blankets as possible to families who would otherwise struggle to obtain one. 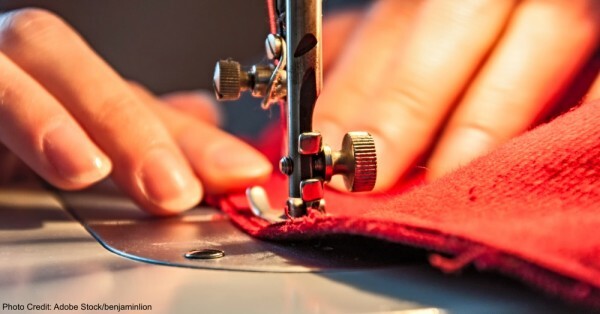 Realizing they can’t reach their lofty goals alone, the sisters are recruiting dedicated volunteers to assist in making the organization’s blankets. Katie and Liz understand the financial burden placed upon families seeking help for one or more children diagnosed with autism. Typically, families supporting a child with ASD must spend many thousands of dollars for supportive services. Weighted blankets tend to be expensive, so receiving a free blanket is one less stress on the family budget. These blankets are really great because they are shown to be a wonderful therapeutic tool for kids with sensory processing disorders. They use what is called deep touch pressure to bring soothing calm into a child’s life. Katie and Liz sprang into action when they saw they could help ASD families in a big way. No doubt they will reach their goals, and continue helping as many kids as they can.